As the highest peak in Europe, Mt. Elbrus towers Russia at 18,586ft/5665m. Eight climbers will embark on an expedition up this incredible mountain in hopes of reaching the top of one of the Seven Summits. This group of adventurers will travel to some of the most unique sites in Europe, St. Petersburg and Moscow, and to the South of Russia in the Caucasus Mountains. 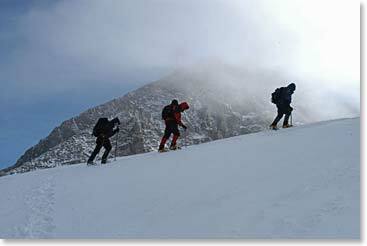 Find out why this trip is a favorite of Berg Adventures as you follow these climbers as they gain fantastic mountaineering experience while taking in the rich history and culture of the Russian people.